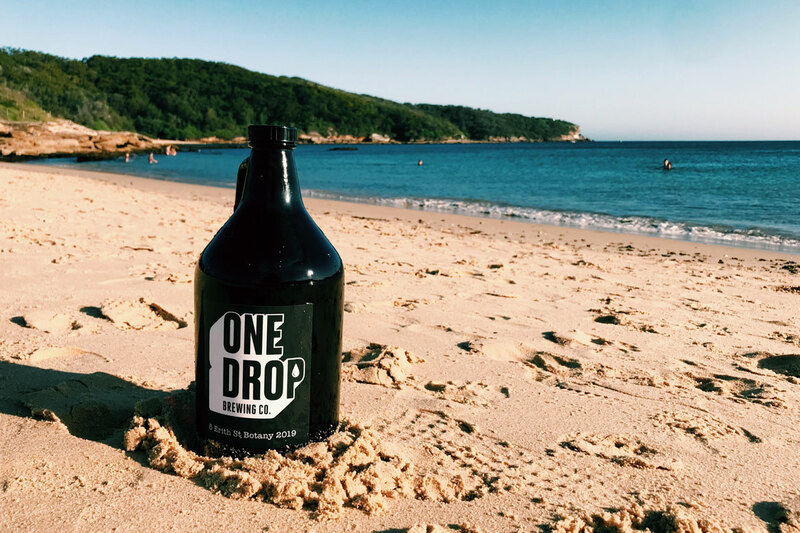 As breweries continue to pop up across Sydney, it's becoming increasingly easy to pinpoint the areas of the Harbour City that are becoming craft beer destinations. The inner west may hold the title of city's craftiest spot but even Sydney's CBD is turning into a place where you can happily spend the day wandering between different breweries. By comparison, Sydney's south hasn't quite seen the same proliferation of new brewery openings in recent years. The likes of Hairyman, Shark Island and the soon to be open to the public Sunday Road Brewing have all brought local beer to the Sutherland Shire but there's long been a substantial gap between those breweries and their nearest neighbours. 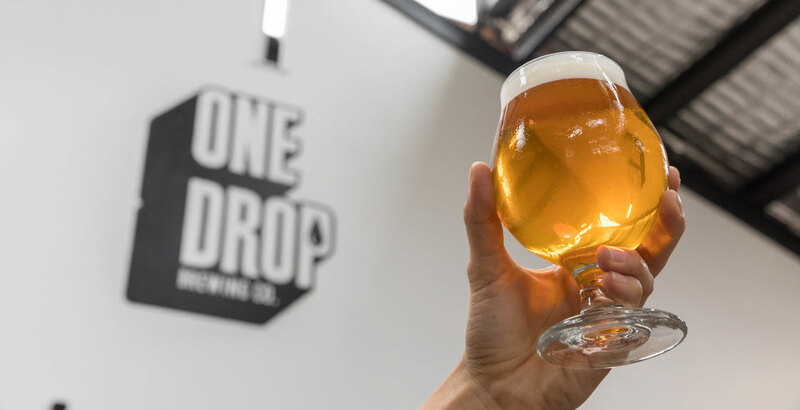 One brewery looking to change that is One Drop Brewing, which opened its doors to the public on the first Sunday of 2019. Considering the suburb's own postcode is 2019, the timing couldn't have been better for the team on a mission to bring local beer to the people of Botany. A little over a month into their existence, we invited the folks behind the fledgling brewery to tell us more as part of our Who Brews...? series. The brewery bar at One Drop, which opened to the public at the start of 2019. Clay Grant: I was a food caterer doing whole pigs on the spit for private events and doing some rounds at the breweries in Sydney's inner west. I came home one day and shared the idea of starting a brewery with my wife Meg that would be awesome in our hood, Botany. Meg Barbic: When I heard the idea I knew it was perfect because I was born and raised in Botany and know the community. I work in tech start-ups and with scalable software companies and loved the idea of creating our own start-up since we had already quit our day jobs a couple years earlier and liked living a fluid life. Together we started building a brewery and the brand from scratch – we went all in and backed it and created the name One Drop, then found a factory and signed a lease. Nick Calder-Scholes: Originally from New Zealand, I met Clay and Meg when they were on a family holiday with their kids in Europe. They were in Croatia to visit Meg's family and I was involved in setting up (and was head brewer) of the Garden Brewery, Zagreb, after a stint at Four Pure, London. After a quick ten minute chat with Clay (and sharing a Kiwi connection), I came into the fold with because I had an interest in moving back down under. I jumped on board mid-last year as One Drop Brewing Co head brewer. Liam Quinn: I'm Nick's best mate and have heaps of hospo experience. I was in the army but got right behind the One Drop vibe and left to join as the venue manager. We brew in our community for our community: Botany, NSW. Once a rundown paper store, we have converted the old 1950s warehouse into a space where we brew, serve and chat about the One Drop. 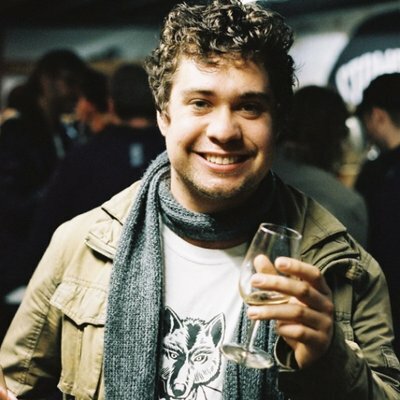 Nick: In 2010, Liam sat me down in Freo and gave me a pint of Little Creatures Pale Ale. It was at that moment beer changed for me. Fast forward nine years and now I make the beer and he serves it to the people of One Drop. Like the ripple effect cause by a drop, the idea behind it is that a single idea, action, or change can ripple out and inspire creativity. The One Drop brand is also inspired by the same foundational ideals of reggae music with its signature one drop beat and its vibes of community, humanity, one-love and free thinking. Beers by the bay in Botany. Our Botany Bay Lager (Czech style). It’s our flagship and we brew it for our local community, for our friends, and for ourselves. Funky reggae, soulful dub and the Street Fighter II soundtrack (we have an arcade machine). Wildflower Good as Gold, Philter XPA, Creatures Pale Ale, Boatrocker Oyster Porter, La Sirène, Garage Project's DFA. Wildflower hands down – those guys are freaks of nature. Batch's Juicy as Phuck. Fixation IPA is stupidly good. 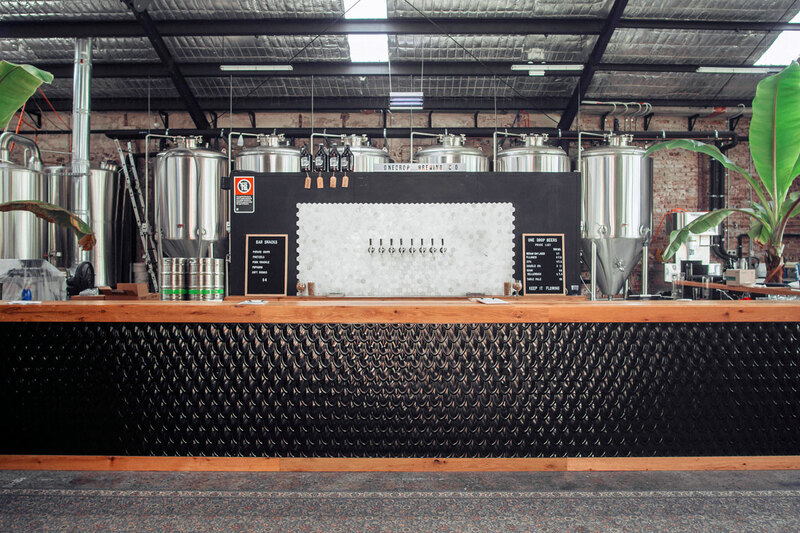 Currently, being only a few weeks open, our taproom in Botany is where you can find takeaway growlers and fresh beers on tap. As we’ve only been open for four weeks, we are focusing on being here and now and making good products. In ten years we will still be making excellent products, just for a few more people hopefully. Follow what the crew at One Drop are up to via their website. You can find One Drop and hundreds of other good beer venues and breweries across Australia in the free Crafty Pint app.